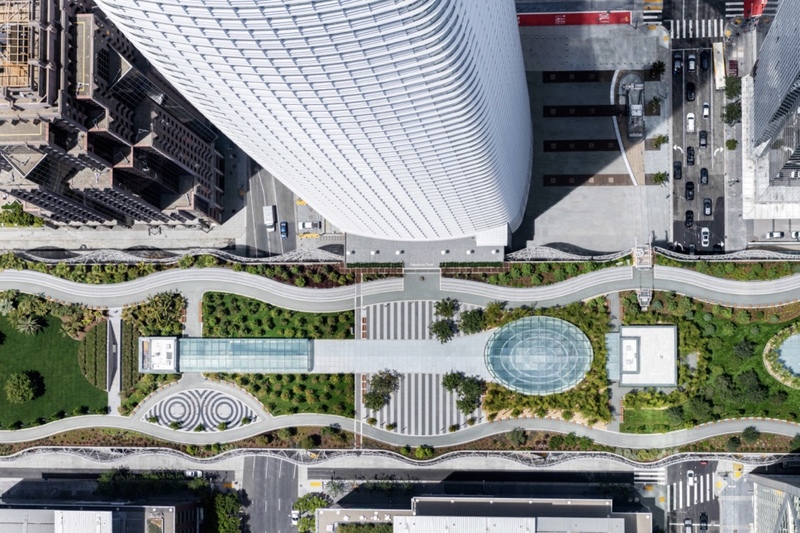 Nearly three months after a pair of cracked steel beams were discovered at the Pelli Clarke Pelli–designed Transbay Transit Center in San Francisco, crews investigating the structural failures have begun to piece together what might have gone awry. According to recent investigations, the beams in question were not only fabricated with imperfections that rendered the steel more brittle and weaker than specified, but they were also altered by the fabricators before they were installed in a way that differed from the shop drawing designs that had been initially approved for the project, The Mercury News reported. The changes include the addition of so-called “weld access” or “weld termination” holes along the web of each joist to make installation easier. While it is still unknown exactly which type of openings were made in the beams—there are key design differences between the two types of holes—the resulting change is thought to have created an imbalance in how the loads from the building above were delivered down to the transit center’s foundations. As the center came under regular use, the buses and crowds that occupied its upper levels put enormous strain on the compromised beams, resulting in the debilitating fissures. The Mercury News reported that Stockon, California–based Herrick Corporation, the company responsible for fabricating the steel beams in question, prefers to refer to the openings as “weld termination” holes because those openings are less strictly regulated than “weld access” holes, which have more stringent design and finishing requirements. Design engineers Thornton Tomasetti have not provided comment regarding the nature of the openings in question. The stresses resulting from the new openings compounded the inadequacies of the steel members, according to the report, which also highlighted a lack of specificity regarding these types of failures in San Francisco’s building codes as a key oversight in the building’s design. Potential fixes for the beams include welding supplemental steel plates to each member to improve their rigidity, though the Transbay Joint Powers Authority, the public agency tasked with building and maintaining the terminal, will not have a specific plan for repairs or an estimated date for reopening the $2.2 billion complex until January 2019. 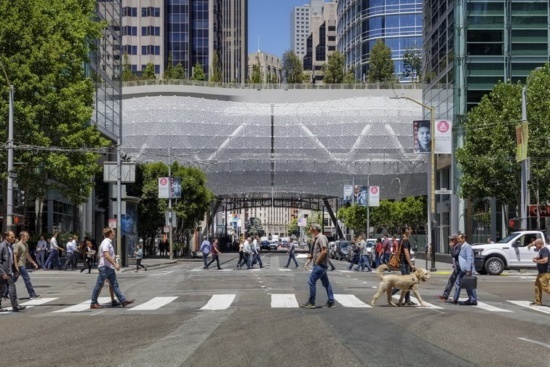 Until a final cause and remedy are found, San Francisco commuters will continue to use the temporary bus terminal created during construction of the Transbay Center for their transportation needs.